It’s never been easier for customers to leave feedback for your products or services. Here are five ways you can use that feedback (good or bad) to improve your business. Whether you’re comfortable with it or not, consumers have never found it so easy to provide feedback on your business – and make it public. Gone are the days where comments (good and bad) were written in an old-fashioned letter or communicated over the phone. Instead, as well as telling their friends in person, customers are taking to social media to express their opinions – which means you’ve a goldmine of resource at your disposal. 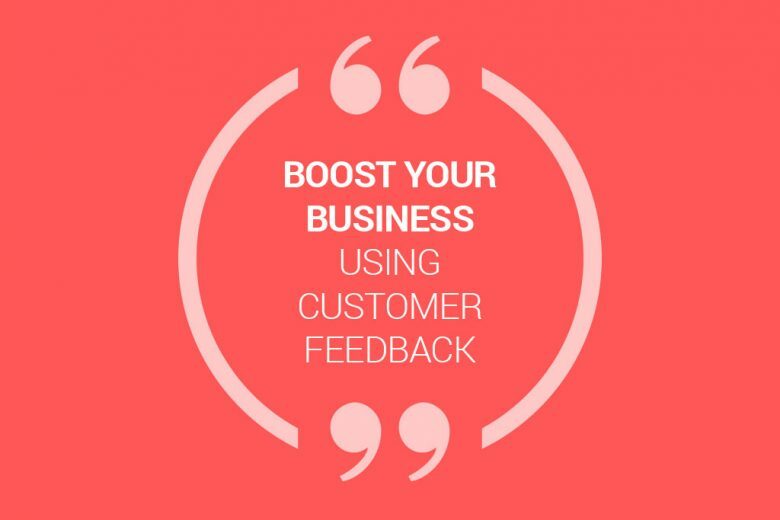 Used properly, positive feedback can boost your business significantly. And even negative criticism can help you to improve your products and services, as well as your reputation. Create free surveys and polls using services like Smart Survey. Emailing clients and customers to ask for testimonials and reviews. Enabling reviews on your website. Gathering them from/asking for them on social media. Sending out feedback forms with your products or services. Invite or search for blog reviews of your business. Check for reviews on third party sites, such as TripAdvisor or Ebay. Whether the feedback you get is god or bad, it’s gold for your business. Here are five ways you can use feedback to improve what you do and your reputation. Positive feedback is a great way of counteracting the effects of negative commentary, and can help to increase your businesses performance. You can add positive reviews and testimonials to your website, increasing the credibility, trustworthiness and integrity of your products and services. E-commerce works best when people trust a website, seller or brand, and honest reviews – which are highly visible – are one of the most effective ways of increasing trust. Think about when you last shopped online. Did you read reviews first? Did the reviews hold any influence over your ultimate decision? Would you ever buy from a vendor who wasn’t showing any feedback? These are all important considerations you probably make without even realising – and your customers are thinking in the same way. Negative feedback can sometimes be good. Allowing negative comments your website and social media pages reduces the likelihood of them springing up elsewhere, and also gives you an opportunity to redeem yourself, replying with a polite, personalised and thorough response. This is a great PR move as it shows your customers (as well as the person feeling aggrieved) that you value their opinion, accept responsibility and are actually listening to the feedback they’re giving. Did a customer dislike a particular aspect of your design? Do they have a comment about your branding? Is there something they’ve suggested you could do differently? These kinds of comments are useful: you have swathes of novice ‘developers’ and ‘innovators’ helping you to change with the times. For the same reason, you’ll also find that feedback helps to make decisions about your business while keeping it viable. Feedback allows you to trust the direction you’re going in. Instead of speculating on what you think or hope your customers want, you’ll actually be giving them exactly what they’ve asked for – and you can confidently move your business forward in the right direction.